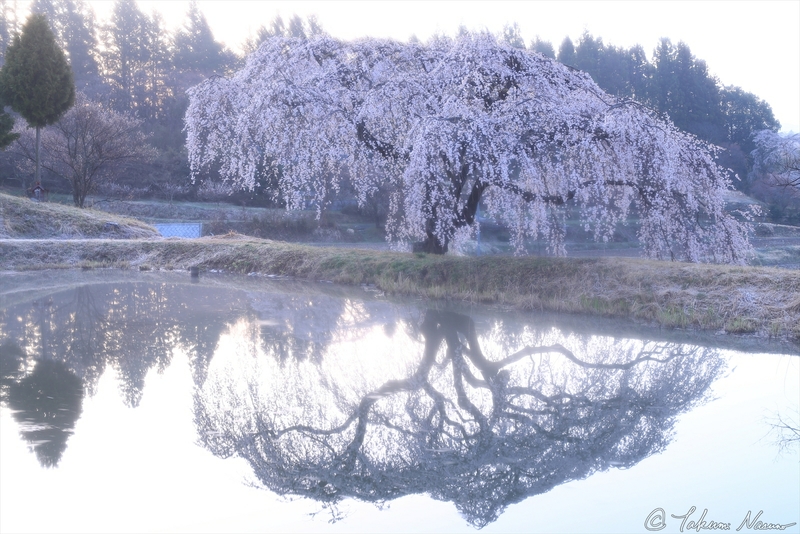 It was the Weeping Sakura tree of Hanazono which amazed me when I visited Tanagura Town for the first time two years ago. It was a bit earlier than the sunrise, when the sunshine through the foliage spread among the mist. This was the photo for which I waited here since 3 o'clock in the early morning. This was the photo by overcoming gear troubles in the dark place strange to me. This was the photo through my best efforts to describe the divine atmosphere to others. 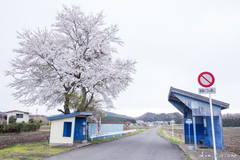 I won the photo contest that year, and the photo is now on the official website of Fukushima Prefecture. "This year, the second time. Can I shoot more beautiful one?" 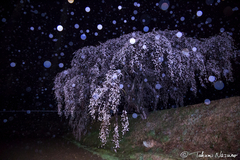 It was the moment when the weeping tree unexpectedly appeared from the dark night. 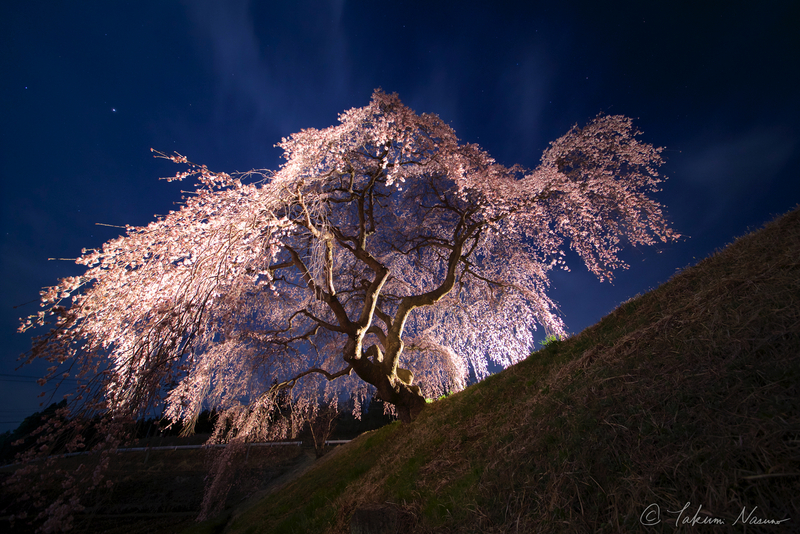 The Weeping Sakura tree of Hanazono is not illuminated at night. However, the tree has a big possibility of becoming a great illumination spot because there is no light and obstacles nearby. 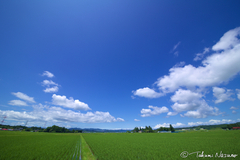 I happened to shoot this photo, and I hope this will make you visit Tanagura Town some day. P.S. 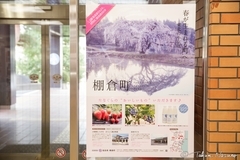 The peak period of Sakura blossoms is coming late this year, and I reckon that it comes in a few days at the Site of Tanagura Castle, and in a week at Yamamoto Fusouson Temple. 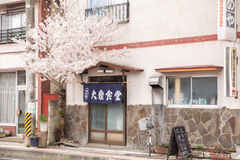 You still have a chance to enjoy Sakura blossoms in Tanagura Town!